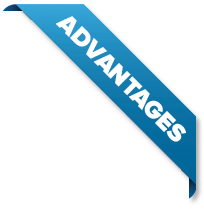 The best warranties in the industry are right here. Our systems are the most eco-friendly available. Here's why. Can our roofs actually save you money year 'round? Why you should consider us when it's time to go solar. All of our deck sheets are prefabricated in sections up to 2,500 square feet to fit every roof exactly to its specifications. 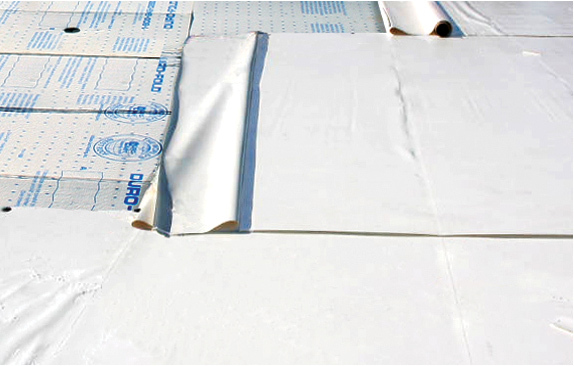 Up to 85% of the field seams are completed under factory-controlled conditions, eliminating waste and leaks. Wall flashing details of any height are prefabricated to fit each specific roof perfectly, eliminating on-site labour and waste. With the prefabricated parapet wall flashings, it may be possible for us to completely wrap the wall, eliminating leaks associated with aged wall surfaces altogether. 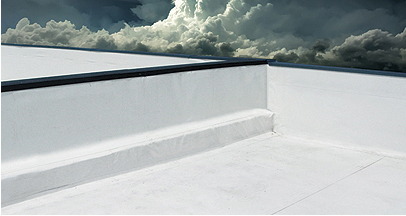 Eco-Tech's one-piece custom prefabricated curb flashings are made to the exact size of the units on your roof. Other systems require hand cutting and fitting of as many as eight pieces of material for each curb. The result is much less labor and no chance of leaks. 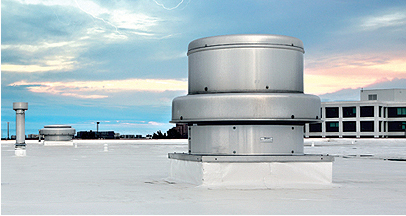 Eco-Tech stacks and vents are prefabricated from 1" diameter to any required size cutting field labour costs and leaks common to site-created flashings. 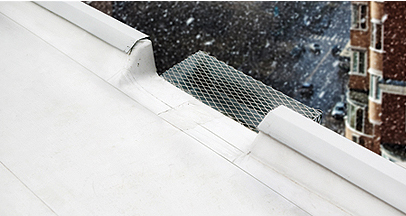 Our vents relieve interior pressure caused by severe weather conditions such as high winds, and let harmful condensation from building humidity escape the roofing system. 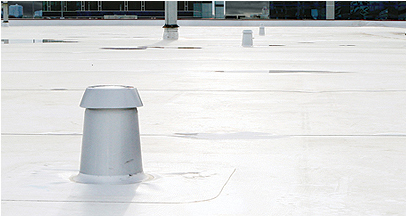 Superior wind uplift resistance and a long life cycle help make the difference.